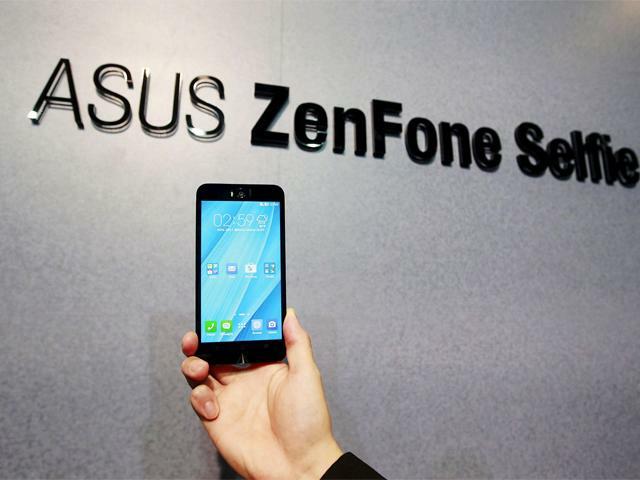 Asus joined its hands in Selfie club of smartphones by offering a ZenFone Selfie model with an exclusive camera of 13MP. The handset was launched at the Computex 2015 held at Taipei in Taiwan. The Computex at Taipei was flooded with a variant number of products from the house of Asus. The newly launched handsets will be definitely admired by the selfie lovers all around the world. As mentioned earlier the front snapper features 13MP power with an aperture of F/2.2 and having a wide angled lens measuring 28mm. By default the front facing snapper offers a wide angle coverage upto 88 degrees. This one fortunately provides for a better room to capture selfies all around. The coverage of area of snapper can be enhanced by switching to selfie panorama mode. It has also got a 1080 pixel with autofocus feature with the support of dual tone LED flash. The rear camera also comes with a 13MP power with an F/2.0 aperture. This camera is having a 28mm lens. Again it has got a picture quality of 4128*3096 pixels. This snapper is supported by laser autofocus and dual tone LED flash. Snapper is also supported by Geo tagging, touch focus, face detection, panorama and HD recording at the rate of 1080 pixels at 30 frames per seconds. The processor is of Quad Core Cortex A53. The chipset is of Qualcomm MSM8939 Snapdragon615. The handset runs on Android platform with the version of Lollipop 5.0. The processor is supported by a RAM of 2GB or 4GB. Again it offers internal memory options of 16GB or 32GB or 64GB. The external memory can be expanded upto 64GB with the help of microSD memory card. The screen size of the handset measures to be 5.5 inches with an IPS capacitive touchscreen featuring 16M colours. The screen resolution comes to be 1080*1920 pixels with a 403 PPI pixel density. The screen is being guarded by Corning Gorilla Glass 4 with oleophobic coating. This protects the screen from getting scratches and other damages. The new ZenFone supports a WiFi band of 802.11/a/b/g/n/ac. It has also supports Bluetooth version of 4.0, A2DP with EDR. ZenFone also supports GPS with A-GPS and has also got NFC connectivity. The handset has got a microUSB port of version 2.0. The battery is made up of Li-Po with a capacity of 3000 mAh. This battery is enough to keep the handset live for a day long with a single charging. Unfortunatey the company hasn’t revealed the prices of the new smartphone. Also they haven’t told anything about the availability date of the new handset. The only thing known for the time being is the colour variants available for the handset. It is available in colour variants of Pure White, Chic Pink and Aqua Blue. Now with the powerful selfie camera is expected to give a tough times to LG G3 and G4. It is also expected to give a strong competition to its competitors in the market like HTC Desire Eye also.